World no.2 Novak Djokovic won a third round battle against Feliciano Lopez, under a closed roof, at the Mutua Madrid Open on Thursday. The defending champion recorded a 6-4, 7-5 victory over the 38th-ranked Spaniard in one hour and 33 minutes to advance into the last eight at the ATP 1000 event. Nole broke in the final games of both sets and saved the only break point he faced en-route to his 16th match win of the year. Match statistics: aces (6-5), double faults (1-0), winners (24-24), unforced errors (21-22), total points won (63-58). Novak will take an 11-2 H2H mark into Friday’s quarter-final clash against no.6 seed Kei Nishikori of Japan (12:00 noon CET). 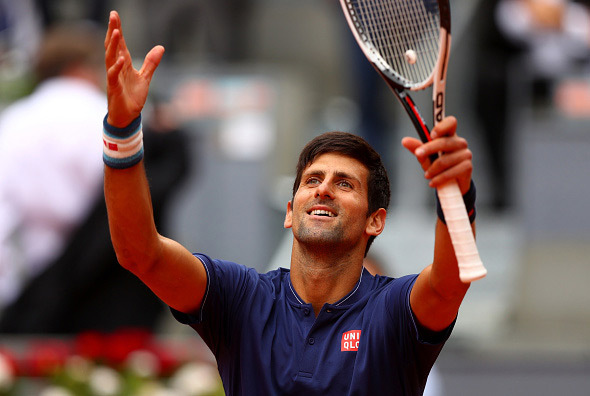 Djokovic has won their last 10 meetings.